I have a secret. Confession really. You don’t have to sit down. Coffee is my cryptonite. Whoa! It feels good to get that of my chest. I’ve been in a bit of denial; six cups before noon is totally normal right? Let’s be real. Haven’t we all sat in the denial pool at some point in our lives? I’ve done the green tea route.I love teas actually but if I had to choose between the two, it will be coffee. It always be coffee. There is a point to this rambling. I made my usual cup of smooth, dark deliciousness but I had the urge for a creamer. My usual go-to in this instance is coconut milk. Popped the ‘fridge open…dang it! I was out. I needed milk but not from the usual suspects. I’m just not about that life. I’m also not vegan. I just really try to avoid dairy as much as possible due to health issues. But I digress. Oats. Those wholesome grains that usually make its rounds at breakfast, stared back at me from my refrigerator shelves. So oat milk it was. Creamer problem solved. I added some cashew in there which adds a lovely creamy consistency. If you happen to be lactose intolerant or just looking to have a healthier / cheaper dairy alternative, then this “milk” can be your go to as well. So here is a super simple recipe on how to get your fiber in and have bonus benefits on good cholesterol and whatnot. 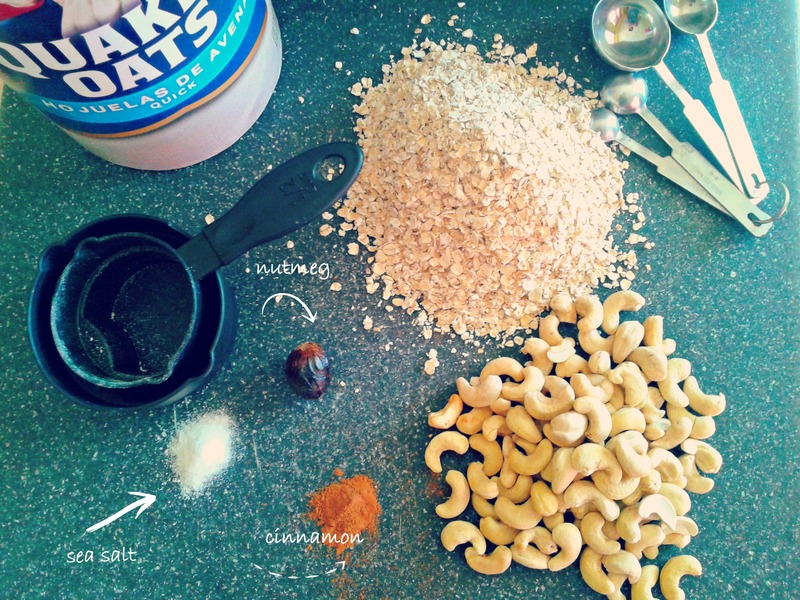 Add oats , cashews ( and cinnamon stick if using) to your blender. Pour in filtered water and blend for 3 minutes until everything has been pulverized and has has become a smooth mixture. 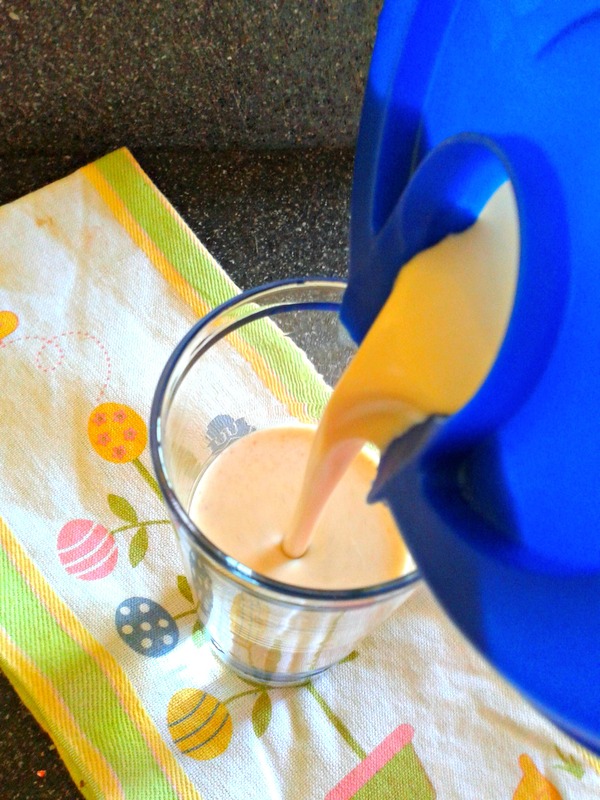 Next place your nut milk bag into sieve and place over a large bowl to strain out the leftover pulp. Squeeze gently; you don’t want your milk all over the kitchen floor. Trust me. You should now be left with creamy milk. Add in salt, nutmeg, ground cinnamon ( if you haven’t used stick) and sweetener. Stir everything together until fully incorporated. You can strain again to ensure a smooth finish. Congrats you’ve made “milk”! Moooovellous! Too much? Ok. Note: Do not boil this “milk” as it thickens. Quick tip: If you don’t have a fine sieve or a fancy nut milk bag, a thin clean cotton cloth lined in a colander can also be used.